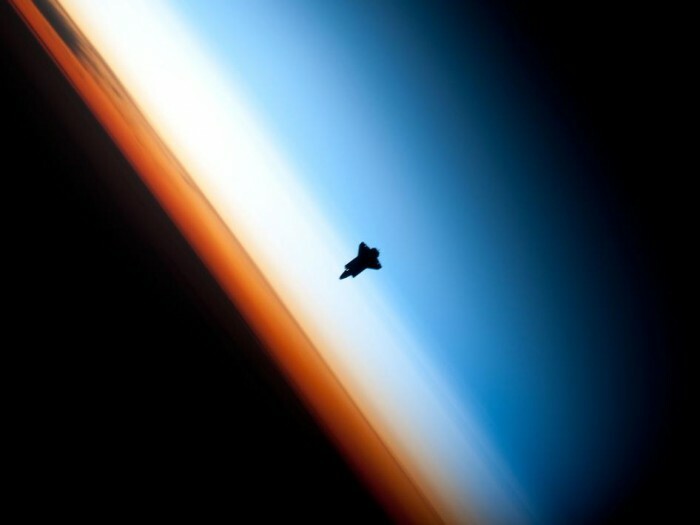 In a very unique setting over Earth’s colorful horizon, the silhouette of the space shuttle Endeavour is featured in this photo by an Expedition 22 crew member on board the International Space Station, as the shuttle approached for its docking on Feb. 9 during the STS-130 mission. Stunning and always something to marvel at. especially with the world as it is. we need to expand some more. and the only place is up.